It’s crazy to think that just a few months ago I quit my 9-5 job to run our site full-time. We did not know the difference between a domain name and web hosting. We had never heard of WordPress. Affiliate marketing was something we never heard of before. Writing was not our favorite thing to do. We only had nights and weekends to work on our blog. Now five months later after quitting my job, we are earning thousands of dollars a month through our blog. Have you started your own blog? What holds you back from chasing your dreams? Now some of you might be thinking I must be nuts sharing my income publicly. Well, you’re probably right. I LOVE talking about money though, hence the personal finance lifestyle blog. It’s a little scary totally putting myself out there to be judged, o well! One of the biggest lessons I have learned becoming an entrepreneur is that you MUST stop caring what others think. Life is way too short to have others hold you back from going after your dreams. These income reports are going to keep us motivated and hopefully, they help you do the same! If you are interested in starting your own blog check out our step-by-step tutorial. To motivate others to chase after their dreams. It will help us set goals and achieve them. We want to be as transparent with our readers as possible. To show that making a full-time income from blogging is possible. To provide an overall summary of what we have accomplished and been working on each month. Before we started blogging, I was caught up switching from job to job trying to find my happiness. I was an insurance salesman, office manager, Amazon store owner, UPS driver, and jail deputy before I had finally figured out I would never be happy at a “normal” job. The one thing that every job took from me was my FREEDOM. My freedom to be creative, set my own hours, work where ever I want, and earn my OWN income. I was sick of feeling suffocated and forced to work for someone else’s money. One of my favorite sayings of all time, “You either work for an entrepreneur or you become one“. After quitting my job and running our site full-time I replaced my income within a couple of months. It was an incredible feeling to have a dream and turn it into a reality. The only regret I have is not starting a blog sooner! I was introduced to them in high school and thought they were dumb. What a mistake. Don’t get caught in the rat race working a 9-5 job you hate. You can take complete control over your life and live the way YOU want to live. All it takes is a dream and enough determination and grit to make it happen. The Good: We had a great month with ads on our site. We switched from Google AdSense to Mediavine ad network. We knew this was going to be huge for our blog and we are already seeing some great results. I started working for VIPKID last month and it has been amazing! I teach Chinese students English Monday through Friday for two hours in the morning. You can learn more about them here. The Bad: Unfortunately, we were unable to close in on a couple of sponsored posts this month. We are still in talks with a couple of companies so we hope to earn some income on those next month. I had to leave my remote digital marketing job for the time being. This decision was made purely on opportunity cost. We felt my time and efforts were more productive working on our site more. We just finished our FREE 7-day blogging course that you should sign up for! We go over everything you need to know to start your blog, run your social media, and earn your first income. 1. Making Sense of Affiliate Marketing. This was the first course we ever decided to take. Honestly, this course should be one of the very first things you purchase when starting your blog. Michelle put her heart and soul into this course to help new bloggers learn the in’s and out’s of monetizing a blog. One of the best parts of this course is the lifetime membership. We refer back to this course month after month to review and implement more tactics to increase our blog income. You’ll learn absolutely everything you need to know about affiliate marketing from Michelle Schroeder-Gardner a full-time RVing Millionaire blogger. If you don’t already know this blogging is 20% content creation and 80% marketing it to the right people. We have taken our social media marketing very seriously since starting our blog. Be sure to join our FREE Facebook groups! Below is our monthly breakdown and review of our social media growth. This is another great tool we use to analyze our efforts and make sure we are using our time most effectively to drive traffic to our site. Every social media platform we grew from ZERO followers. It’s great to see month after month the hard work pay off. We made the switch from MailChimp to ConvertKit and it has completely changed our email marketing. Without a doubt, this was our best month blogging yet. We were mentioned in USA Today! We drove over 50,000 page views! We know that this is just the start of great things to come so we are very excited. We were so close to closing in on a few sponsored posts this month. These are a great way to make money blogging because they are a good chunk of change for minimal work. Last month we had a sponsored post for $400 that took less than 30 minutes of work. We will never accept a sponsored post unless we feel our readers can get value from it. Switching to Mediavine was a great success! We made over $700 in ads this month. We would like to top $1,000 for this upcoming month. It’s important to set life goals and plans alongside your business. We have a few things in the upcoming month we are excited about. After an insane week of hot weather (90+ degrees) in New York, we are in the thick of fall. This is one of our favorite seasons living in New York. The leaves begin to change colors and it’s beautiful! We will most certainly go apple picking at our local apple farm. As the holiday season fast approaches, we want to stay in good physical shape. Our goal is to hit the gym at least 3 times a week for a good workout. Our last goal is to continue to grow our networth. We just bumped up Brittany’s 401(k) contribution significantly. With the added monthly income we want to maintain the same lifestyle we have always had and avoid lifestyle inflation. We are really excited with the growth of our blog. We are VERY motivated to keep the success going. Bluehost: If you’re looking to start a WordPress blog cheap, then choosing Bluehost for your hosting company is your answer. Bluehost has been one of the top web hosting companies since 2003 and you can start your own blog with them for just $2.95 a month! Another bonus is if you sign up using our link you will get your domain for free if you purchase a 12 month or longer blog hosting plan. Pinecone Research: Your search for the highest paying survey company is over. Start making money while you watch TV. Pinecone makes taking online surveys a breeze. Ebates: Save on all your online purchases. The simple and easy to use cash back program. Grab your free $10 credit here. Social Warfare: The best social media plugin on the market. Drive traffic to your blog and get your content shared! We have a post get 5k page views in one day with help from Social Warfare. We have seen a few other popular bloggers have a monthly “readers featured question” and thought it was a great idea! Starting this month and moving forward we will take your questions you leave in the comments and answering it. Hopefully, we can help you guys reach your goals as well. Monthly featured question: What blogging course do you recommend new bloggers take? The course we took that completely changed our blog was Making Sense of Affiliate Marketing. 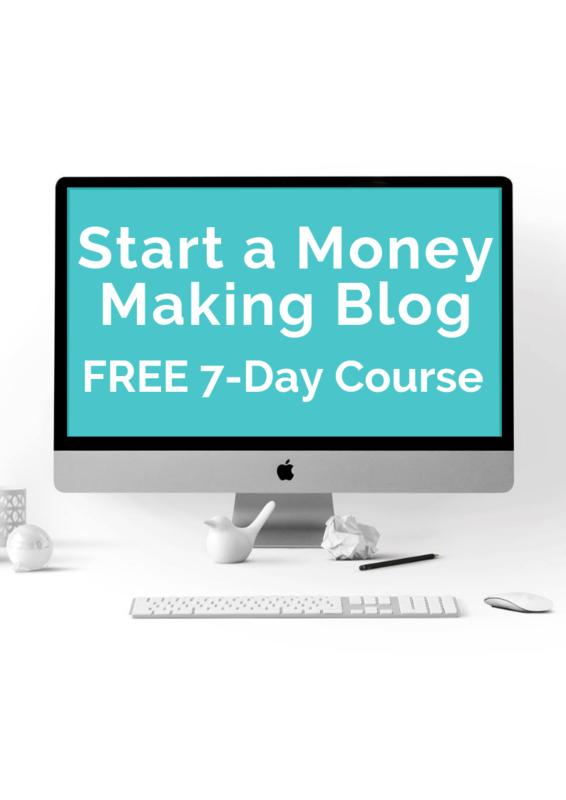 After taking Michelle’s course we more than doubled our blog income within the first month. The course is extremely easy to follow and packed FULL of knowledge for new bloggers! You should check out our in-depth review of Making Sense of Affiliate Marketing to see if it’s right for you. We will be featuring one question from a reader in each monthly income report. Please leave a comment below if you have a question that you would like us to answer! Remember that in a year from now, you’ll wish you started today. It’s always good to remind yourself where you want to be a year from now, five years from now, and ten years from now. Do you want to be stuck at a 9-5 job that you dread each and every week? A job that has little upside in the future? Or would you rather be making money from multiple income streams working from the comfort of your home? Or traveling full-time with the luxury of being able to work anywhere you want? Put in the work now so you can enjoy financial freedom in the future. Instead of watching another episode of Game of Thrones tonight work on building the future of your dreams. Get the exact step-by-step formula we used to start & grow our blog to $10k/month. Success! 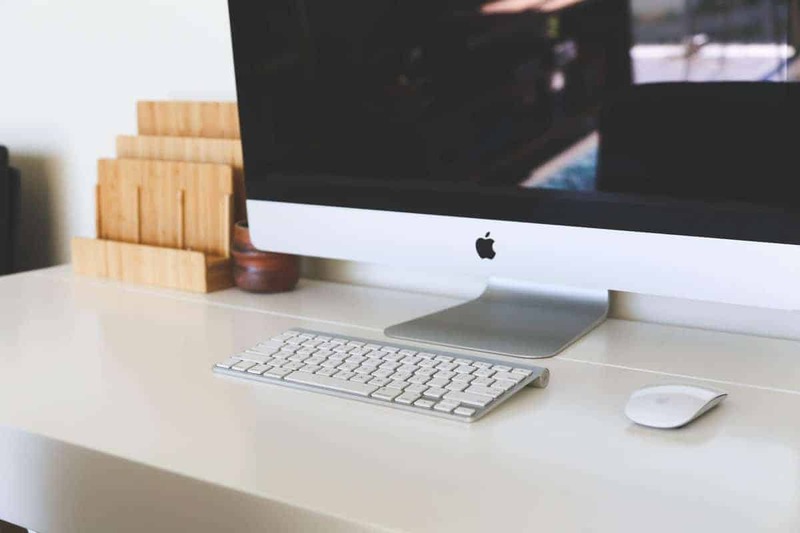 Go check your email to get a head start on your blogging journey! Killer month! Congrats. A bummer that some of the sponsored posts fell through, but at least there’s still some hope there. How did quitting feel? 🙂 Was that a full-time job for you? Thanks Dave! The digital marketing job I got was a part-time gig. I was helping run a few clients websites for a digital marketing firm. Unfortunately, the pay was just not worth my time anymore. Looking to start our own small digital marketing firm before the close of this year though. Thanks Mad Money. We are pleased how everything is going. We reduced our spending as much as possible to allow me to quit my job. Is your site self-hosted? I’m just getting started with my blog and affiliated marketing, do you just contact these companies to see if they have a paid program ? We use Flex Offers, iGain, and Max bounty for our affiliate networks. We learned everything we know about affiliate marketing taking Making Sense of Affiliate Marketing course. Great month! Awesome job 🙂 How do you think MediaVine compared with AdSense? Does not even compare. We are making 5 to 10 times more with MediaVine. As soon as you can switch do it. Definitely finding inspiration with this post. Great to see what our website’s future could become! Thank you for the tips, tricks, and honesty!! Looking forward to more! Thanks Mike! Just went over and checked out your site, it looks great! Looking forward to reading some of your articles. You’ve come a long way! I was looking back through some of your past posts and saw that you quit your job after earning $50 from your blog? Did you just know you were going to make it work? Seeing your social media growth and what has and hasn’t worked for your blog has been really helpful. I’m just finishing out my first month of blogging and I want to do the same. These first few months of doing something new are always so confusing. Congrats on starting your blog! It’s an incredible journey that is extremely fun, frustrating, and exciting. I knew that I needed to own my own business. I was originally going to quit my job to become a home inspector but saw enough potential in our blog that I went this direction instead, thank God! Just keep grinding until you get through the learning curve. After that it becomes so much fun! Hi Kelan, just found your site it looks great. Congrats on the success you are having and leaving the workforce to do something you are passionate about. It seems to me you have already taught a lot to yourself I am amazed at the blogging community and all it has to offer. I am working on getting a site off the ground and will make sure to check back in to see how you are doing in the future. Best of luck! One other question, on your “recommendation tab” is this an example of affiliates. For example did you just set this up to send traffic their way or did you somehow get on an approved affiliate list so when someone clicks through you get a kick back? Thanks for the help. Hey Dave thanks for stopping by. We have been approved for all of the affiliates we promote on our site. We make sure to never promote or market any product we do not fully believe in. If you’re interested we do blog coaching which I think would be super helpful to get you started on the right foot. Blogging is a business and investing in it can have some incredible ROI. I look forward to hearing from you.